As another year draws to a close, Jindas: Urban Regeneration in Lod is gearing up for many busy months ahead in service to the communities of Lod’s Old City neighborhoods. Coordinated activities with Mosaic: Lod Multicultural Center (formerly the Arab-Jewish Chicago Community Center), immediately across the street from our offices, continue to reach hundreds of local Arab and Jewish residents ranging from infants to children and their parents, grandparents, and everyone in between. Your interest in and commitment to the revitalization of our unique neighborhood continues to inspire our work and makes it possible for Jindas initiatives to effect real change on the ground. Wishing a Hanukkah full of light to all those celebrating, happy holidays, and best wishes for a prosperous 2017 both here in Lod’s Old City and wherever this finds you today. 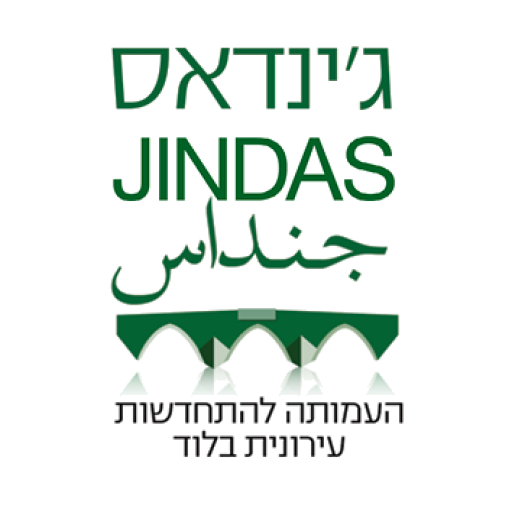 Over the past year, the Jindas and Mosaic: Lod Multicultural Center community organizing teams have completed needs and visions surveys with nearly 250 households in the Ramat Eshkol neighborhood and some 50 business owners in the area. Staff conducted many of the surveys door-to-door and engaged interviewees in conversation regarding neighborhood developments, challenges, and visions for its future. Results have informed the establishment of program priorities at Mosaic and effectively reconnected many previously disenfranchised residents with activities and available services. Data has confirmed much of what we understood about the various challenges our neighborhood faces, but also points to tremendous untapped potential for individual and community growth. Hagit Naalei-Yosef and her firm ViaPlan expertly guided our community organizers on how to most effectively collect, record and organize survey results. Responding to an urgent need in the immediate neighborhood, Jindas and Mosaic: Lod Multicultural Center partnered to establish the “warm room” after-school program for over 30 participants ages 5-10. Based on results of household surveys conducted in recent months and the prevalence of local families unable to provide supervision or a hot meal for their kids in the evening, the program provides a safe and reliable care option for the area’s most vulnerable children. Participants meet with a professional mentor immediately upon arrival, are guided through a range of games and exercises, many geared towards self-confidence and skill building, share dinner, socialize and are accompanied on their walk home. Activities extend late into the evening in order to serve families which depend on parents working late hours. The critical importance of the “warm room” for the local community is evident in the still increasing number of kids registered and the positive feedback received from both participants and their parents, none of which could otherwise afford adequate childcare. The long anticipated “local ambassador” course is training some 20 women from the Arab and Ethiopian-Jewish communities around Lod’s Old City to guide visitors through their neighborhood. Jindas and Mosaic: Lod Multicutural Center have partnered to deliver the course, aimed at building local tourism infrastructure from within the community itself and ultimately providing trained guides with a supplementary source of income. The skill-building aspect of the program pertains not only to developing participants’ expertise on the history and culture of the area, but cultivating their capacity to speak in front of a group, share their personal story, and facilitate conversation. Visiting groups to the area will also provide a platform for other local vendors. In September, event organizers, food providers, and equipment crew put together an evening of dinner and program for the Schusterman Foundation’s visiting REALITY program participants. From September 19-27, a delegation including Faten Elzinaty, Executive Director of Mosaic: Lod Multicultural Center, Aharon Attias, General Director, Municipality of Lod, Yossi Haroch, Deputy Mayor – Education, Municipality of Lod, and Jindas CEO, Avital Blonder, traveled to the United States for learning and partnership building meetings in St. Louis, MO and across the east coast. The journey began with Richard Baron, Board Chairman, and Sandra Moore, Past President of Urban Strategies, Inc, and with tours of their organization’s diverse projects, including affordable housing developments in St. Louis. The discussion focused on how to adapt the Urban Strategies approach to the urban regeneration processes carried out by the delegation in Lod. The group then continued to Baltimore, Washington, and New York City, sharing Lod’s unique story with existing and potential partners including Jewish Federations, family foundations, developers, and urban development organizations. Each delegation member returned to Lod with new ideas for initiatives and development models, and renewed commitment to revitalizing Lod’s Old City in collaboration. The delegation is grateful to all of its hosts, for the opportunity to learn from their expertise, and for so many partners supporting its work. Read more about the Sigd event on our blog.